Northwest Ohio Poetry Out Loud regional semifinal: 4:30 p.m., Marathon Center for the Performing Arts, 200 W. Main Cross St., Findlay. Free. FINDLAY — The Northwest Ohio Poetry Out Loud regional semifinal will be at 4:30 p.m. Wednesday, Feb. 13, at the Marathon Center for the Performing Arts, 200 W. Main Cross St., Findlay. Five students from northwest Ohio will be reciting poems in two rounds. One will be selected to advance to the finals March 8 in Columbus. The event is free and open to the public. Poetry Out Loud encourages students to learn about great poetry through memorization and recitation. This program helps students master public speaking skills, build self-confidence, and learn about literary history and contemporary life. 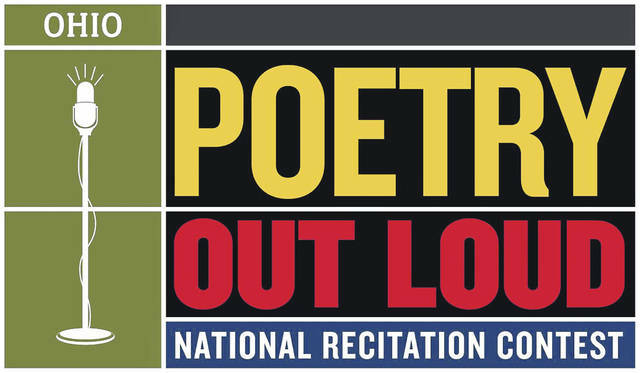 Created by the National Endowment for the Arts and the Poetry Foundation, Poetry Out Loud is administered in partnership with the State Arts Agencies of all 50 states, the District of Columbia, the U.S. Virgin Islands, and Puerto Rico. Teachers, librarians, or administrators register their high schools each year with the Ohio Arts Council and organize contests with one class, several classes, or a whole school. Contests, workshops, and multi-media program materials, including curricula, are free. Poetry Out Loud is aligned with Common Core and NCTE standards. This is the third year that Marathon Center for the Performing Arts has served as the Northwest Ohio Regional Partner for this program which is sponsored by the Ohio Arts Council. Marathon Center for the Performing Arts (MCPA) is Northwest Ohio’s premier destination for diverse arts programming and entertainment. MCPA features a beautifully renovated 969 seat performance space featuring a large proscenium stage with expanded backstage capabilities, state-of-the-art lighting and sound technology, and new seating; a multi-purpose event hall for intimate performances, rehearsals, meetings,corporate and private events; an atrium lobby; a lounge space; an art gallery; a suite of dressing rooms, and flexible spaces in the lower level to provide arts education classes for the community. This entry was tagged 021319. Bookmark the permalink.